Southern Oregon cannabis growers are now an important part of an agricultural community that includes wine grapes, pears and other commodities, and fitting into the neighborhood brings challenges. About 30 people gathered at the Medford library July 11 to discuss the emergence of cannabis and its impact on other industries. The panel discussion, titled “The Food System and Cannabis: Changing Dynamics,” was sponsored by Rogue Valley Food System Network. The panel included Vincent Smith, a professor at Southern Oregon University; Shavon Haynes, watermaster of District 13 (Jackson County); Chris Jagger of Blue Fox Farm; Josh LaBombard of the Oregon Department of Land Use and Development; Michael Johnson of a cannabis farm named Siskiyou Sungrown; Dan Sweeney of Pacific Vineyard Services; and Sunny Jones, cannabis policy coordinator with the Oregon Department of Agriculture. 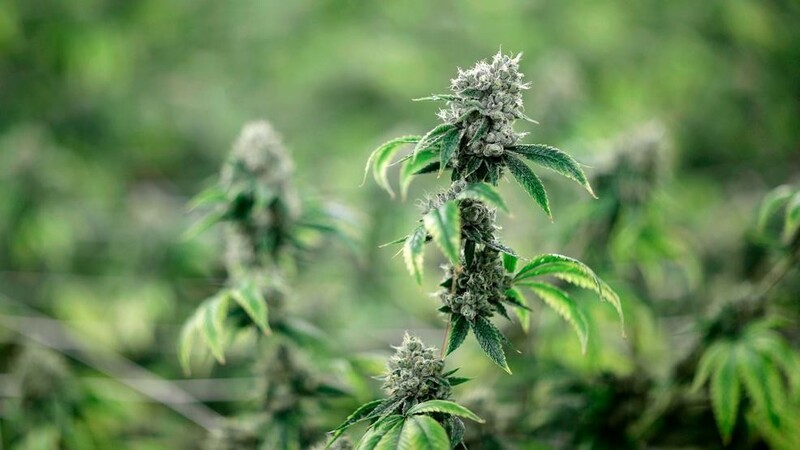 The big takeaway is that the established agricultural industries in Oregon are recognizing the importance of cannabis to the state’s crop portfolio. “Cannabis is now considered a regular agricultural product,” said LaBombard. • Regulatory and policy confusion among growers. • Black market intrusion into the industry as it comes to grips with an oversupply of bud. Instead of giving in to the glut or temptations of the black market, many responsible growers are turning to industrial hemp, said the panel. Johnson, for example, has a hemp section at Sungrown. • Being agriculturally and environmentally sound. Some cannabis growers who’ve been around a while worry about new growers not being environmentally responsible — for example, using too much gravel, trucking in potting soil, not following composting regulations or the overuse of pesticides. Organic cannabis growers worry about neighboring farms causing “spray drift,” said Megan LaNier of LaNier Land Consulting. • Water rights. According to Haynes, there’s been a huge spike in groundwater rights applications, and some may not be approved due to limited water. “Due diligence is huge,” he said about new growers looking to build a farm and figuring out the water regulations. For example, there are different regulations for growing medical cannabis as opposed to recreational. He’s also seen a trend that benefits water conservation: Many cannabis growers use a drip system instead of sprinklers, which helps limit water consumption. • Labor. Every panelist touched on labor issues to some degree, with panelists saying wineries and other agricultural farms are among those suffering. “I’ve lost supervisors, and I’ve lost workers,” Sweeney said, because the cannabis growers pay so much more, for example, $20 an hour for a trimmer. “It raises the question of equitable labor pay,” he said. “Lack of labor is a real challenge,” echoed Johnson. • Being a good neighbor. Haynes said most of the complaints his office receives are directly related to cannabis growers. While he’s concerned specifically with water, there are complaints about soil compaction, overusing water, illegal use of water, impacts on neighboring wells, as well as noise, lights and setbacks. All the panelists stressed they were not judging the cannabis industry, but are trying to fit it into the Oregon food system framework. Growing pains aside, all said they see the potential for growth that comes with responsible management. Jefferson Reeder is a freelance writer living in Medford. Reach him at jeffersonreeder@hotmail.com.